Caladesi Island is a small, sandy island (half-island, actually) perched just off Florida’s sunny west coast. 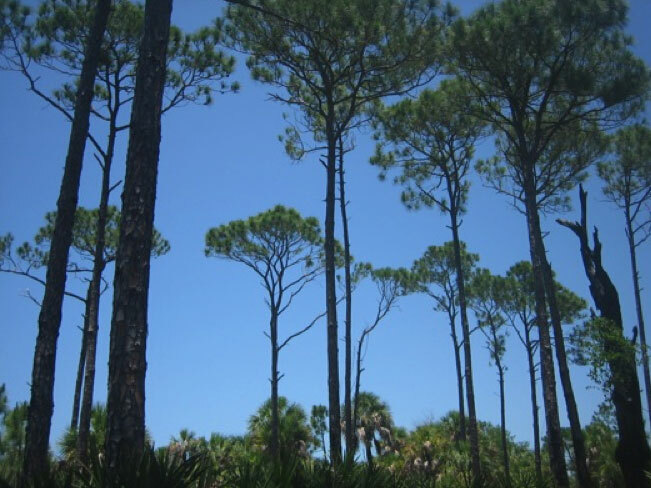 As one of the area’s few undeveloped barrier islands, Caladesi sports a beautiful beach and a rare virgin stand of South Florida slash pine. 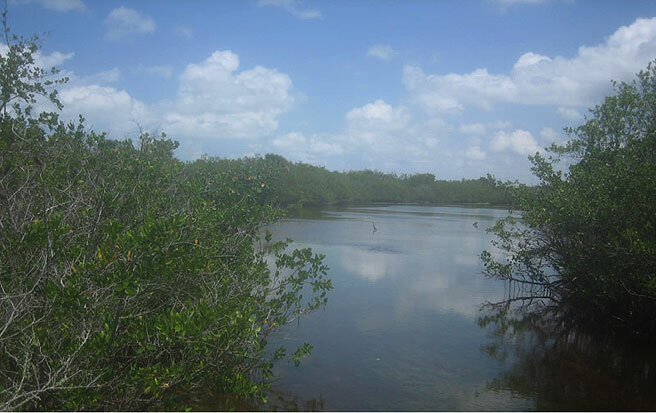 Sand dunes, a maritime oak forest, and tangled mangrove swamps round out the scenery. The landscape wasn’t always like this on Caladesi, though, nor will it stay this way. That’s the nature of the coast. Caladesi belongs to a string of barrier islands said to be one of the world’s most diverse in terms of its collection of island shapes. 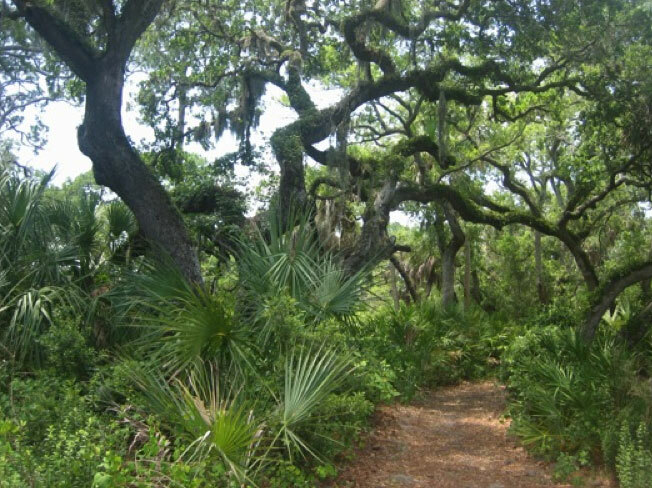 Some members of the group are high and wide, with shady oaks dripping Spanish moss. Others are low and skinny, with bare sands washed by every storm. Even Caladesi’s own shape is ever changing, century to century, year to year. 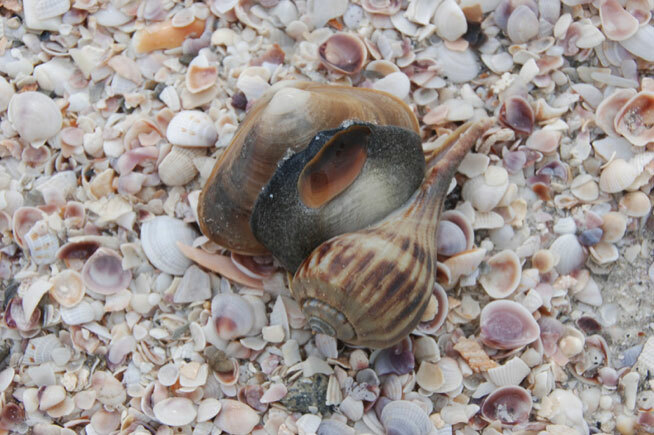 A brief tour of Caladesi’s life history, as pieced together by University of South Florida geologists, illustrates how seemingly small changes in island influences can produce dramatic and sometimes surprising island transformations. About 7000 years ago, sea level was rising and Caladesi Island did not yet exist. 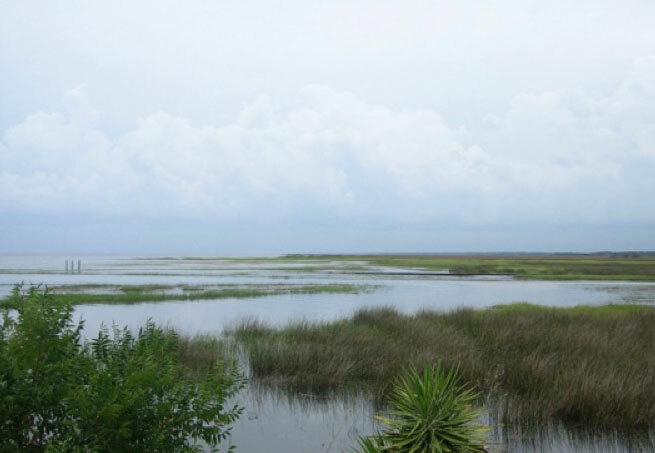 Visitors would have seen a quiet, shallow sea with grassy marshes, perhaps like today’s Big Bend area to the north. About 5000 years ago, sea level stabilized, making conditions friendlier for island formation. An underwater sand bar grew into a long, linear ribbon of island sand. The south end grew high and wide. The remnants of an ancestral gap (inlet) in the ancestral ribbon can be seen where the marina is today. About 4000 years ago, sea level began to rise rapidly again. Encroaching waters submerged much of the young island. About 3000 years ago, sea level again stabilized and the island enjoyed another growth spurt. More high sandy ridges accumulated, providing hospitable ground for today’s distinctive oak forest. 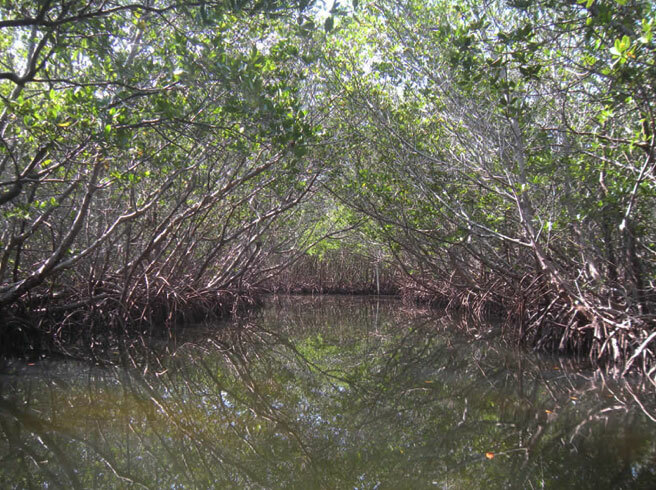 Watery mangrove swamps on the island’s sound side thrived and spread. You can visit these features today via foot trail and kayak trail. In 1921, a ferocious hurricane blasted open a new inlet, snipping the long, sandy island into two pieces. The southern piece is what we know today as Caladesi Island. 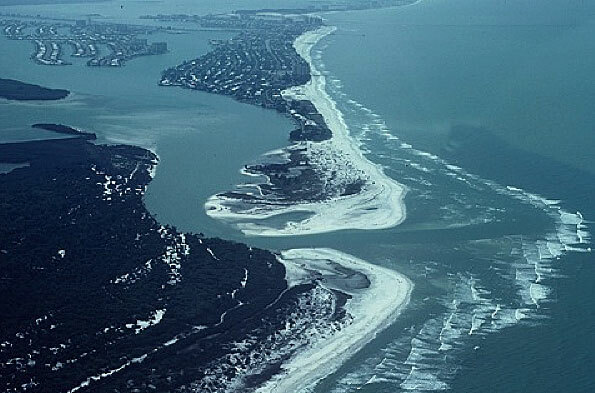 With currents now flowing through the new inlet (Hurricane Pass), Dunedin Pass, at the island’s south end, was deprived of some of its sweeping tidal flow. The older pass began to fill with sand and shrink. Over the next several decades, we humans built causeways to neighboring islands and filled in portions of the surrounding shallow waters. Tidal flows again adjusted. Dunedin Pass continued to shrink. In 1985, Hurricane Elena passed by offshore. Storm waves further rearranged local sands, setting the stage for the death of Dunedin Pass and the birth of a new, short-lived pass (Willy’s Cut) to the north. In the years since, Caladesi Island has continued its shape-shifting ways. Dunedin Pass has completely closed, joining Caladesi and Clearwater Beach Islands. A once-tidal waterway is now a landlocked pond. Ephemeral inlets come and go. In summer 2012, Tropical Storm Debby sauntered by. Sustained high winds and roiling seas shifted truckloads of sand from south to north and from beach/dune to offshore bar. A grassy front dune line disappeared, along with sea-turtle and shorebird nests. Trees toppled. 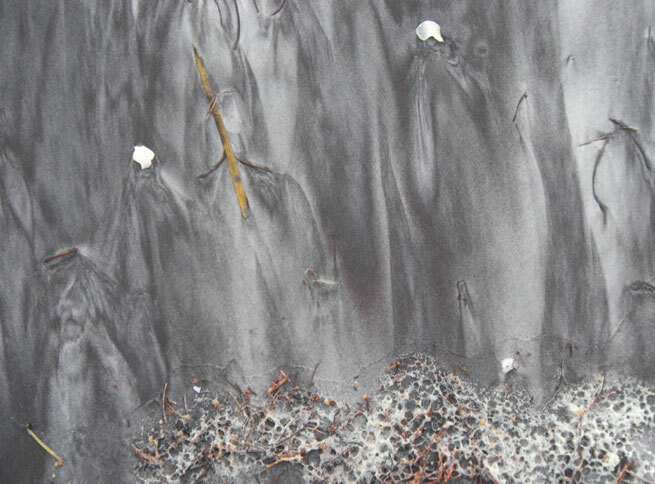 Once-buried peat and mud emerged, dark and sticky, from the thinned sands. In Debby’s wake, the dance of the sands has continued, though at a less dramatic pace. Rain and gravity have softened once-sharp dune scarps. The muddy outcrop has disappeared. New dunes are taking root in half-buried piles of post-Debby wrack. Island life goes on. 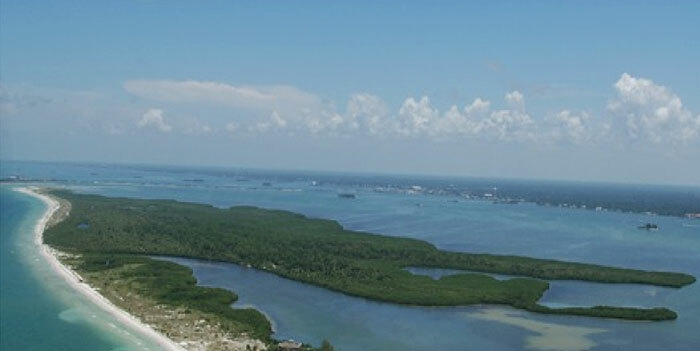 Caladesi Island is now part of the much-loved Caladesi Island State Park. 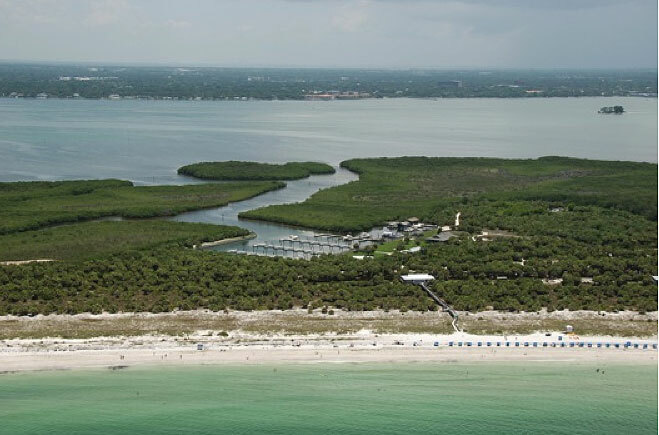 The Florida Master Naturalist Program and the Great Florida Birding and Wildlife Trail highlight this unique barrier as a great place to experience natural coastal features and see not only shorebirds but also migrant songbirds. Hundreds of thousands of people visit each year, arriving by boat and on foot. Many more know the place through the vivid recollections of Myrtle Scharrer Betz. She wrote Yesteryear I Lived in Paradise, an award-winning account of pioneer life with her father on Caladesi. Modern management challenges are varied, ranging from seagrass-plowing jet skis to aggressive plant invaders. A new concern is the growing popularity of kiteboarding: large, fast-moving shadows can startle and scatter birds into flight. Even passersby quietly strolling the beach may disturb shoreside animals in need of food and rest. Sea level is on the rise again, at a rate of about 15 centimeters (6 inches) per century according to regional tide gauges. Out on the beach, you’ll find that no two Caladesi visits are the same. In one stretch, hungry waves upend chunky palm trees. In another, winds and sea oats work together to build new dunes. Some days the wrack is good, and shorebirds vigorously work the drift line. Other days the rains are good. Multinational feathered flocks will gather later at short-lived beach ponds. Tonya D. Clayton, PhD, author of How to Read a Florida Gulf Coast Beach.